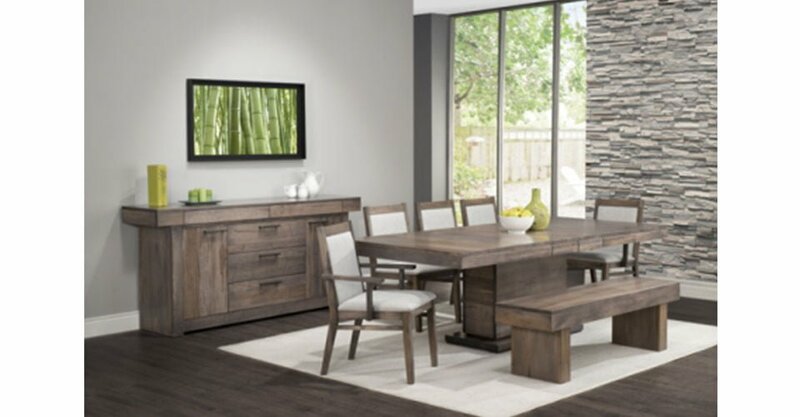 This is for our clients that enjoy mixing and matching furniture to create a unique dining experience. 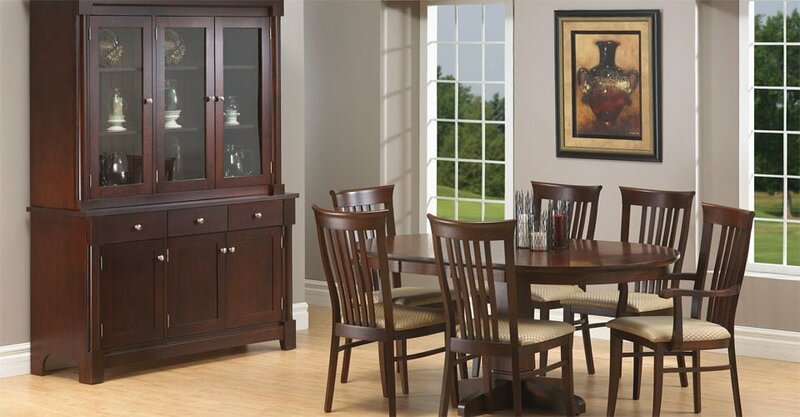 It’s a simple and fun way to add more character and personal touches to your dining room through your furniture. We have a lot of options to choose from in our showroom, so here’s a few options we think are a great combination. Let’s first start with the dining room table. You could go with a simple table and bold chairs or vice versa. Or maybe you want to go all out and go bold on the table and chairs, that is entirely up to you. 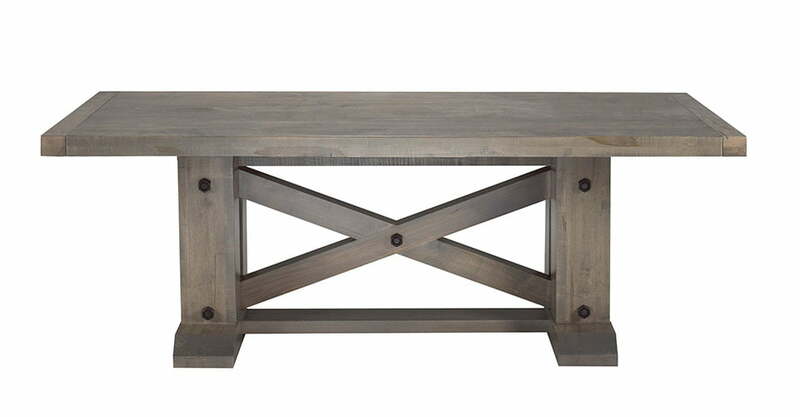 Acton Central table: the Acton Central table is definitely a show stopper, from it’s bold and industrious inspired details, this table is big enough to fit many of your loved ones. Contempo Dining Set 2: This is a very unique table with stunning features, perfect for a modern and classy setting. 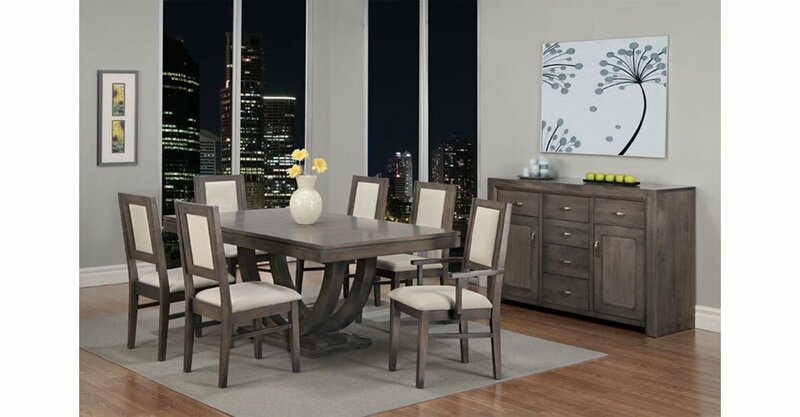 Athena Dining Set: The Athena table is a classic round/oval dining table. It’s elegant features makes this a timeless furniture piece. Baxter Dining Table: The Baxter dining table is a very bold and unique table. It’s simplicity is very transitional with very sturdy details. That’s four table’s out of many that we designed and handcrafted. 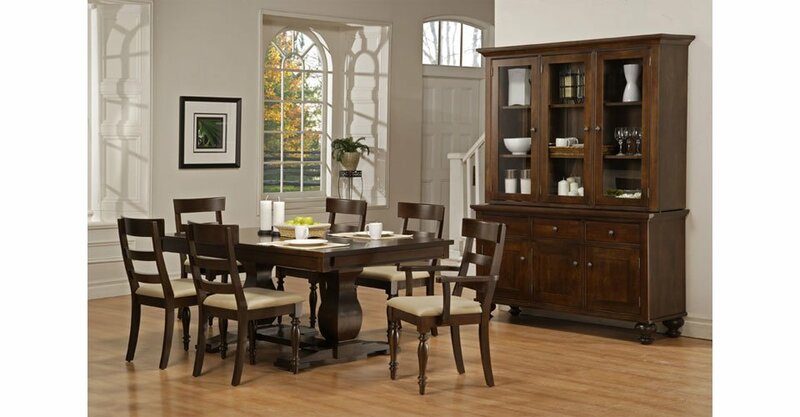 Picking out a dining table is very important, it sets the tone for the rest of the dining space. We love to provide different styles and options for our clients. We also give our clients the option to customize their furniture with the choice of wood, stain and hardware. By customizing the three, our clients will get a completely different table with the same quality and craftsmanship. We also do a lot of custom built furniture and enjoy collaborating! 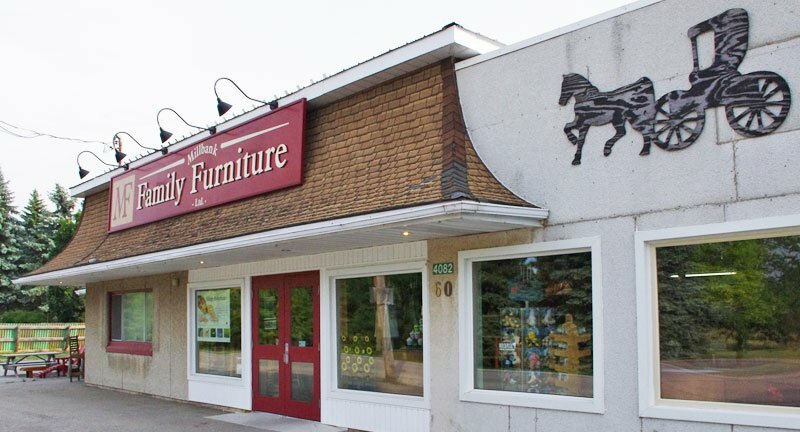 It’s a fun and creative process to make the vision of our clients a reality, take a peek at our custom build furniture page here. Now that we’ve looked at the dining room table, let’s take a look at chairs! Distillery/Paris Chairs: These chairs are designed with a print of Paris, so for all of our Parisian inspired dining rooms, this is the perfect chair for you. 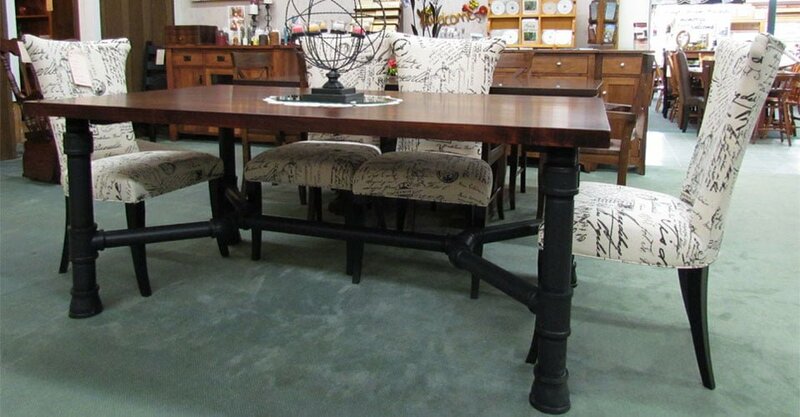 Frontier dining Chairs: The frontier chairs are very classic and take a closer look at the bench! That completely creates a very unique dining setting and is especially popular for kids. Georgetown dining chair: These chairs are absolutely stunning, very elegant! 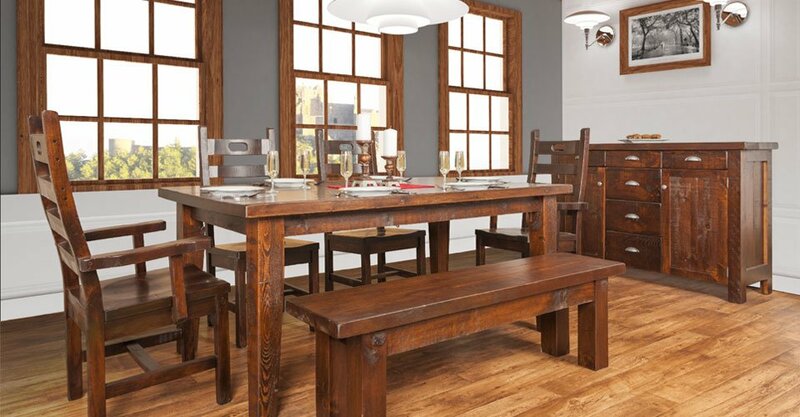 The Georgetown chairs have unique details that adds character to any dining space. These are a few of our chairs that will make a splash into your dining space, all of our chairs are designed with high quality materials and craftsmanship. We hope you enjoyed this article and that you’ll let us know which combination you prefer.